deep synergies and strong information exchange to the running projects in the BD domain. New models like data-as-a-service, analytics-as-a-service or data ‘aggregation&analysis’ are embraced by an increasing number of new innovative startups. On the other hand, traditional businesses are re-thinking their traditional business with the use of Big Data Technologies for a performance increase and a diversification of their products and services (e.g., banks are selling aggregated credit card transaction data, Industries (4.0) are optimizing their production through big data analytics, etc.). 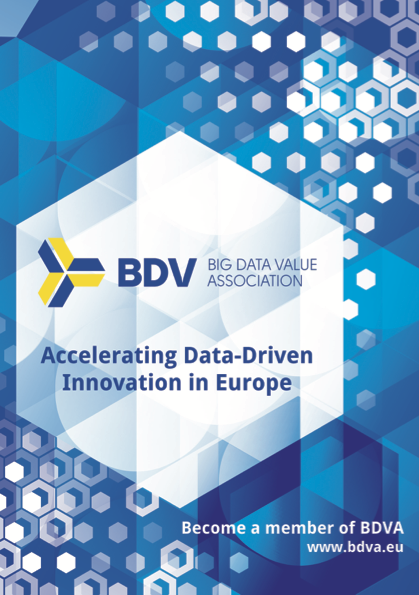 In this activity, we focus on describing the state-of-the-art of big data-based business models, and also on the challenges and opportunities derived from them, in terms of competitiveness and innovation, which may lead to evaluating new policies to stimulate data economy. The innovative models developed by SMEs and Web entrepreneurs. The transformation on traditional organizations derived from the use of Big Data technologies for new and updated products & services. The identification of current Big Data related business models adopted in different sectors with the purpose of analysing their replicability in other contexts as well as for defining high-potential future ones.